EduWeek with SABC Education powered by Intel takes place on the 29th and 30th June from 10am – 6pm at Gallagher Convention Centre in Midrand. For more information, visit:www.educationweek.co.za . EduWeek with SABC Education powered by Intel is a free-to-attend education event which takes place on the 29th and 30th June at the Gallagher Convention Centre in Midrand. Visitors to this year’s EduWeek conference can look forward to a series of free workshops focused on providing free educational training and development for teachers and educators, as well as one-on-one interaction at the various exhibitor stands. The theme for EduWeek with SABC Education powered by Intel for 2016 is Sustainable Development in Education. Education for Sustainable Development is focused on allowing every human being to acquire the knowledge, skills, attitudes and values necessary to shape a sustainable future and one cannot mention the future without talking about technology. Technology’s role in education is undisputed — it is certainly viewed as an effective means to enable both student and teacher in creating a more engaging learning environment. For many educational institutions though, the question remains how to efficiently use the technology resources available to them. In South Africa currently, where improving education is a nationwide concern, the role of technology is not just a luxury, but perhaps a much needed catalyst. Leading Education technology provider Intel has once again partnered with EduWeek as the headline sponsor of the event and will showcase its latest developments in innovation, security and technology for inclusive education. The E-Tech Theatre will host Intel’s workshop titled, ‘Looking at the African Classroom of the Future’ where they will explore what the African Classroom of the future will look and the technologies that will be interacted with. EduWeek are proud to announce Microsoft as Diamond partner this year. Visitors to the Microsoft stand will experience a deep-dive into the complete Microsoft in Education ecosystem. From Minecraft and Xbox through coding, the latest Windows devices and Office 365 as well as previews of exciting new developments such as Microsoft Classroom and OneNote. There will be a live classroom demo theatre where our team will be showing off many of these tools and demo’ing just how great they are to use in the classroom. “The success of the digital transition of education depends on more than devices and connectivity,” says Claudia Johnston Education Sector Lead at Microsoft South Africa. “It also requires that learners have access to tools and creative content to get the most out of their lessons while teachers have the support they need to make classes and sessions more memorable, interactive, and relevant for their learners. Teachers are the single most important factor in better education outcomes and at Microsoft, we recognise and support this with our work across the country – hence our participation in EduWeek 2016.” Angela Schaerer (Teacher Engagement Manager, Microsoft South Africa) will also be chairing a panel discussion around whether technology will save our schools. On 8 and 9 June 2016, Microsoft Innovative Educator Experts (MIE Experts) from across South Africa and Lesotho attended a Hack the Classroom Forum at Microsoft in Gauteng. The aim of the Forum was to bring together the most active MIE Experts to learn from one another’s best practices and get up to speed on the latest Microsoft educational tools. MIE Experts particularly enjoyed networking with other teachers who are using technology in creative and engaging ways in their classrooms. A highlight of the Forum was a group work task which involved MIE Experts working together to develop an idea for a project that would hack a common problem shared by the team. The winning “hack” was produced by Keshma Patel, Mabore Lekalakala and Andries Bogatsu who came up with a project idea to answer the question “Can technology encourage a heathy diet?” which they presented as a sway. Some of the MIE Experts who attended the Forum shared their ideas for using technology in the classroom during the TeachMeet. A range of clever project ideas and uses of tools were presented and Mokhudu Machaba’s TeachMeet idea on “Using Apps to Create Content” was voted as being the best of the session. Phuti Ragophala was recognised for being active on social media and using this tool to share ideas for using technology with teachers in her network. After learning how to use the Office Mix add-in for PowerPoint, MIE Experts were challenged to create an Office Mix to teach others about a randomly assigned topic. Well done to Catherine Mullen, whose Office Mix on making pancakes made excellent use of the interactive features of Office Mix. If you think you’ve got what it takes to become a Microsoft Innovative Educator Expert in 2016/2017, applications are now open for the next round of the Microsoft Innovative Educator Expert program. Find out more on the Microsoft Educator Community and apply by 15 July 2016. "Can't make it to ISTE in Denver this year? Don't fret -- we're providing the #NOTATISTE crowd some fun and learning virtually! Door prizes given all day, so stop on by! We'll be patched in LIVE from the EdTechTeam Teaching Theater Booth all day, Monday, June 27th. RSVP and pop into this link at any time to pick up some just-in-time inspiration on a ton of different learning topics! We'll be highlighting sessions on Creating UnGoogleable Questions, Using Data in the Classroom, Telling Stories with Tourbuilder, Critical Thinking with Google, and MORE!" 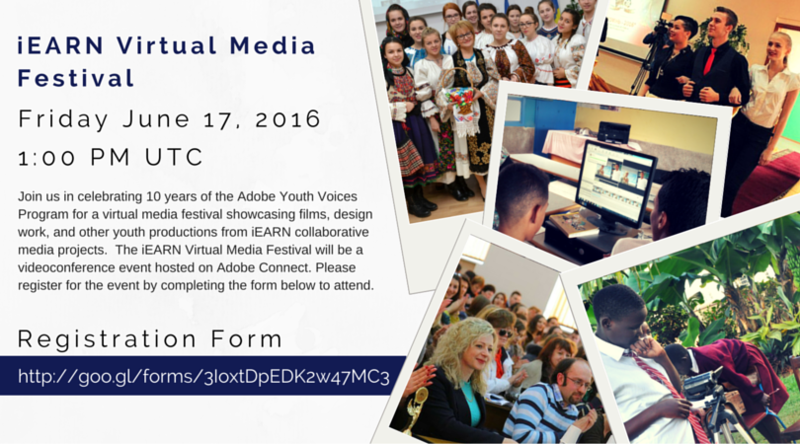 iEARN is celebrating 10 years of the Adobe Youth Voices Program with a wonderful virtual media festival showcasing films, design work and other youth productions from the iEARN collaborative media projects. This is the culmination of the AYV inspired iEARN Media Production and Exhibition Mini-Grants. This is a video conference event using Adobe Connect so all are invited to join virtually. Date: Friday, June 17 at 1:00 pm UTC (9:00 am EST). 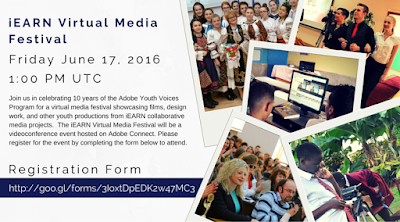 The event will feature student produced media work primarily from the mini-grants projects. 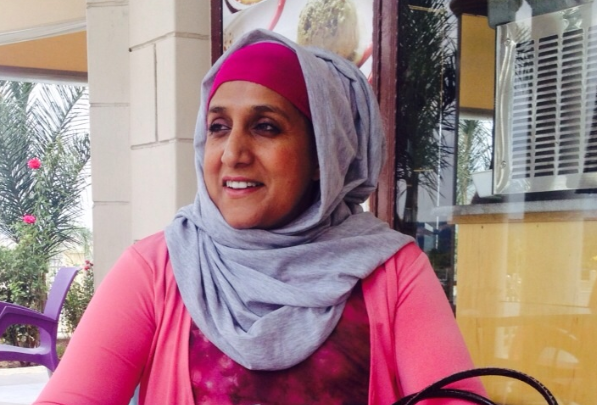 This is a guest post from Carolynn Bruton, a past teacher from Cape Town. She wrote about these online Password Managers in one of her IT at Home newsletters, and has offered the post as a guest post to SchoolNet. "One of the most annoying things about online applications, including banking and applications like Twitter and Facebook, is that they all need passwords for personal log-ins. Many people continue to use the same email address and password for all their applications. Often these passwords are quite intuitive and people who do this are making their personal details vulnerable to suspicious characters, malicious spyware or hackers. It sounds scary but if you are really careful about password creation and never use the same password more than once, you will save yourself many problems. I use “The Vault” on my iPad and iPhone, and a programme called 1Password on my Windows laptop. The Vault The Vault is only available for the iPad. It is not the fictional defunct USA prison facility, but is a secure documents and data storage application. It is completely free and is the perfect place to store those important usernames and passwords on a completely secure site which only requires 1 digit or 1 Alpha-numeric password. Besides the usual usernames and passwords, you can add photos of confidential or insurable items, e.g. jewellery, credit card and ID details, or those important model and service tags which are found underneath your devices or in the About section of your iPad, iPhone or iPod Touch. You can store any number of photos from your camera or e-mail the information directly from the app. You can also import them from Dropbox, Safari, Google mail. The secure AES (Advanced European Standard) 256 bit encryption is an encryption algorithm for securing sensitive but unclassified material by US government agency. Here is the link to the Vault app in iTunes https://goo.gl/G8ogd5 Now all your password secret codes used in is an important documents can be safely stored and available on one Apple website, and you only need to remember one password. This will simplify and speed up shopping for those who enjoy making online purchases. 1Password is recommended by many reputable PC magazines and is available for Android, Mac, Windows and iOS users https://goo.gl/2jDg4m. It is reviewed by CNet here. It allows you to generate strong passwords which are 256-bit encrypted (definition here).It is not free. There are a number of other password managers however and I would recommend that you chose one of them and start filling in all your details, including photos or videos of valuable possessions and serial numbers such as those on your TV or laptop so that they can be submitted to your insurance agent and can be individually itemised. I DON’T recommend LastPass as it has had poor reviews. mSecure is another password protection manager. The Windows version on the app store costs R115.90 and the free version for an iPad is available here. What I like about mSecure is that you can import data from another password manager app which is useful if you have upgraded your device. KeePass has also had some good reviews – especially for those who use open source software. PasswordBox is another free password manager which I haven’t tried, but which has had good 2016 online reviews. So to, remember all your passwords easily, and know that they are safely stored for you to peruse them whenever you need to, why not try one of these Password Managers!" The biggest technology conference in the world, ISTE, is due to take place in Denver, USA this month. I have once again joined the NOTATISTE Google Community which runs parallel to ISTE with exciting ideas and great sharing. It’s amazing what you can learn from this community! I have already picked up some great things about Periscope, the free broadcasting app, by reading something that Tony Vincent posted in the community. Periscope is a free, live-streaming app. It was purchased by Twitter and made its debut March 26, 2015. It is available on Android and iOS devices. It allows you to “go live” via your mobile device anytime and anywhere. You almost become a live broadcasting station, streaming video and audio to any viewers/followers who choose to join your broadcast. Read more here. I have used Persicope once as a live broadcasting tool, but I sometimes tune into the little whistle that tells me that a live Persicope session is taking place. Smore is a way to display a beautifully designed newsletters or posters online. Here is the project 'From wandering to wondering' outlined in Smore: https://www.smore.com/1pcw1-from-wandering-to-wondering. In this project the students brainstormed the things they 'wondered' about and then they each chose their own wonder to research. "The method was simple ... sticky notes and a bulletin board! Posting wonders in the classroom encourages more wondering ... students can wonder any time of the day and post it up on the board. And, can begin the research process anytime in the classroom!" Over the last two weeks (9th -20th May 2016), Kgaphamadi Secondary School in the North West Province hosted 7 Intel staff who hailed from the United States, Spain and China. The IESC team visited and worked with the proof of concept school to get the school started with their sponsored Golden Creek 2 in 1 devices, Content Access Point so that they could easily share learning and teaching materials and hosted training for teachers for 2 hours every day for the duration of the two weeks. 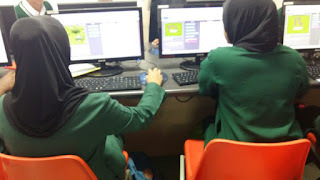 The IESC team had a tough two weeks trying to be motivating and encouraging whilst managing teachers’ fears and teaching some basic ICT skills. The two weeks saw many positive changes and created much hype around using ICTs for teaching and learning. Teachers were able to use their daily 2 hours to start engaging with devices and worked through connecting and accessing content from the content access point as well as applications for word processing in lesson preparation and for administration; a few teachers started engaging with using spreadsheets for tracking marksheets and using PowerPoint as presentation tool for class lessons. SchoolNet SA will be continuing the excellent start by the Intel team in order to build confidence and to ensure that learners benefit from the equipment provided to Kgaphamadi Secondary School. 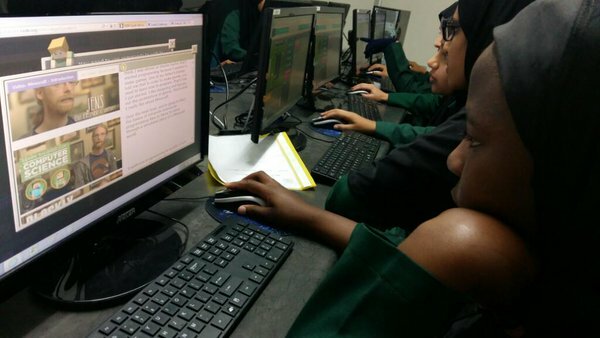 With the advance in technology .and the addiction to social media and gaming, learners can be introduced to programming as young as Grade 5 level. 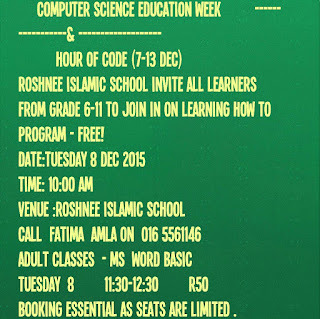 Coding/programming teaches children to think logically, creatively and also refines their problem solving abilities. We need to teach the way the way children learn! 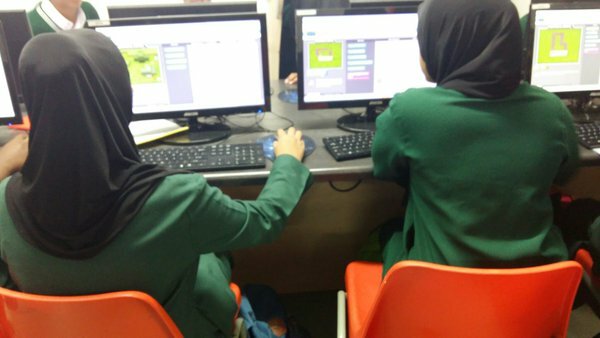 In the December holidays as part of my #MIEExpert program, I decided to run coding classes which included our primary school learners and teachers. I was impressed with the nonprofit foundation website CODE.ORG as it shares plenty of useful online resources and Apps. I decided to test my Grade 5 son by allowing him to follow the STAR WARS tutorial and was amazed at how he enjoyed coding. Furthermore he felt he had achieved well when he received a certificate on completion of the course . 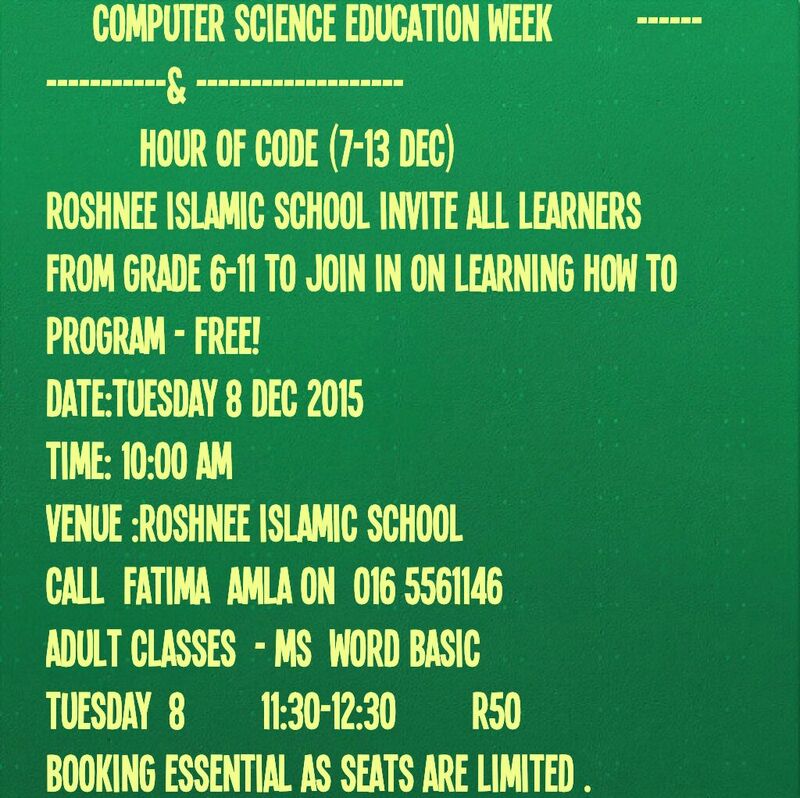 This inspired me to start introducing coding to my Grade 8 learners as part of my computer literacy curriculum. 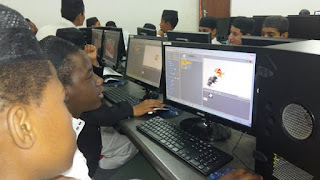 Last week I taught them to code movements through animation in SCRATCH using different Sprites. I was fascinated to see how learners were glued to their screens amazed at what they could create! Its fascinating to see how learners arrange and rearrange Scratch block to animate creative programs using their creative and logical skills with the use of the drag and drop interphase. Introducing 'çoding' or as we say in South Africa, 'programming', can be initially challenging to introduce, but once the kids grasps the basic concepts they can design amazing programs that will build confidence and teach problem solving, creativity and logic at an early age. If you would like to teach kids to problem-solve at an early age of around 7 and 8 years then let them try games like LIGHT BOT and many other available apps that will also teach problem solving and communication skill. Virtual Reality games have become popular with children who enjoy using technology and in the process are also engaged in learning. This is also a visual way of teaching children and allowing themselves to express themselves. The Virtual reality games have a visual way of imparting knowledge through play. Children are our future so let's invest in them. Introducing coding or as we say in South Africa, programming , can be initially challenging to introduce but once the kids grasps the basic concepts they can design amazing programs that will build confidence and teach problem solving, creativity and logic at an early age for a brighter future.